Astrology is a great science based on sound principles and theory of karma through cycles of rebirth. A horoscope is basically a map of zodiac indicating position of planets in various signs! Nashotah at the lime and place of birth. The delineation of a chart is the science and art of deciphering it s per the know1edge intuition of the astrologer and divine help available to him. Therefore the first requisite is to hair sound knowledge of nature and characteristics of houses, signs, Nashotah and planets and their inter-relation. Next comes the basic tools like dasha, transit, yoga and divisional chart and their application in delineating a horoscope. 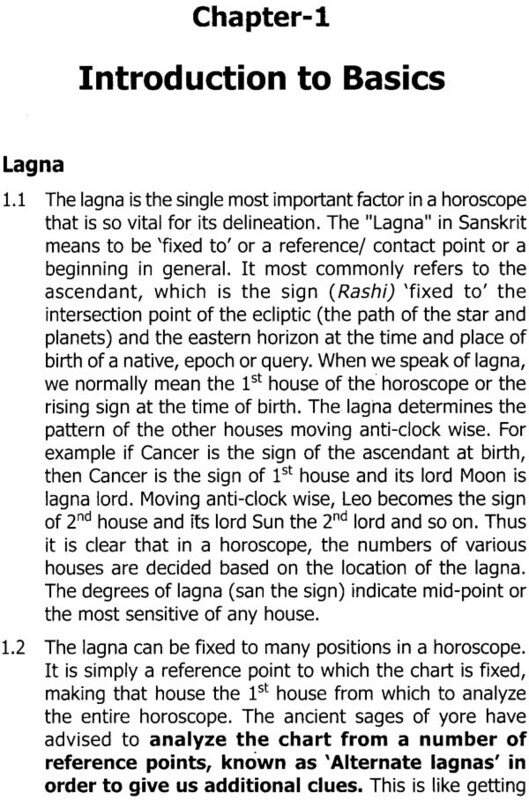 Lagan is the single most important factor in delineating a horoscope. its the very bang of the native, his élan vital & basic potential Unless the seed of a specific quality or event is contained in this basic potential, other planetary indications will not find suitable- opportunities for manifestation. Lagna also determines the numbering of houses with lagna being the first. With- the change in lagna, the significations of any planet will change drastically, as his house & lordship changes, although the sign & constellation of the planet remain unchanged. The author is a mining engineer from ‘Indian School of Mines11 now known as fat Dhanbath He has put in 28 years of service in the Army as an Engineers Officer. He is a Jyotish Acharya from Bhaya Vidya Bhavan. For a tong time, he has been pursuing it astrological studies as a keen student. His researches reflect his analytical approach to go into the details as an engineer and then he put- them across frankly as an Army officer. The author has earlier written books on 11Longevityw, Prashna: A Vedic Approach11, 11Vargas: A Vedic Approval’, Charisma of than Houses11 and “Astra-Rernedies: A Vedic Approach which- have been receiver well by the astrological fraternity. Indian astrology derives its strength and inspiration from Vedas, repositories of knowledge & wisdom, and hence called Vedic astrology. 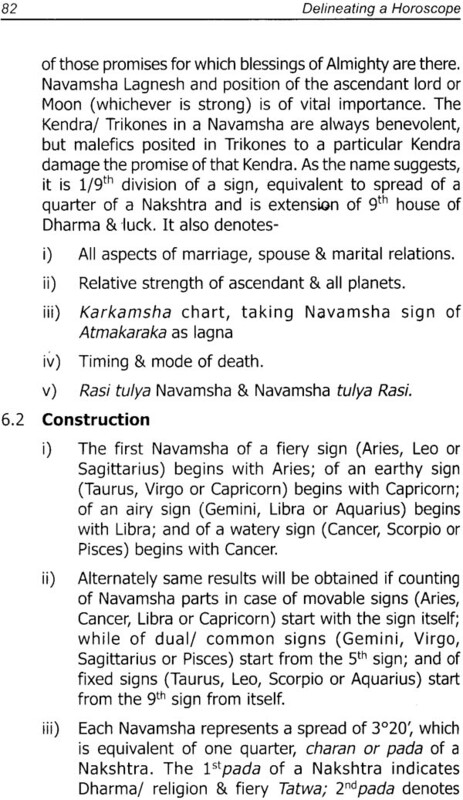 There are about 30 slokas on astrology in Rigveda, 44 in Yajur-veda and 162 in Atharva-veda. Our sages of yore further developed Puranas, classics and commentaries on them to illustrate various aspects of astrology and human life. The saints! seers did not dwell merely out of intellectual curiosity. They wanted to understand the laws of nature and enlighten the path of others. Astrology deals with genesis of celestial bodies including galaxies, constellations! Ashtrays and planets on terrestrial beings. These bodies rotate in the cosmos strictly following their own laws and the planets throw cosmic rays on oil another through varied electro-magnetic forces. The Moon’s gravitational influence is greater due to its proximity to Earth and its relatively high velocity in the Zodiac. The Moon’s nodes (Rahu & Ketu) are supposed to be gravi-magnetic cross roads in the space. 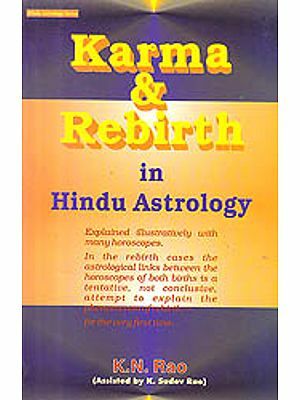 They have been termed as Karmic planets, believed to be bringing the effects of past lives to the present one and their depositors are called Karmic control planets. 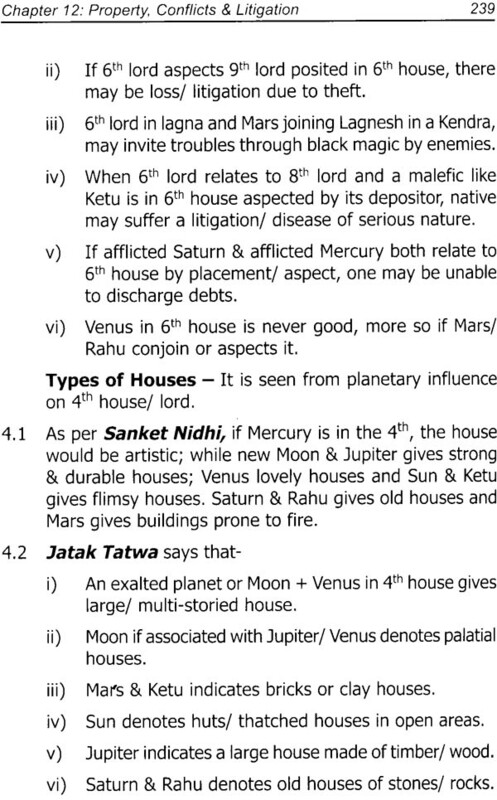 According to some astrologers, Rahu & Ketu also act as a magnificent & selective mixer for aH sorts of cosmic vibrations! Impulses from all cosmic bodies including extra-saturnine planets, before they reach the surface of Earth. 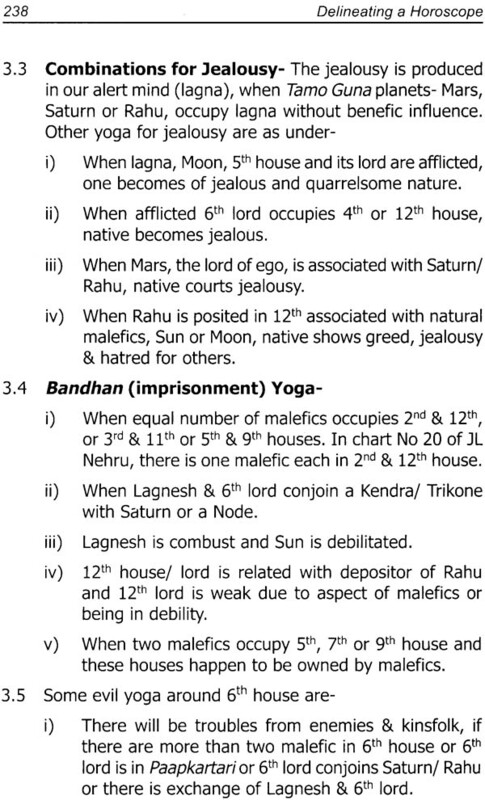 This is why in Vedic astrology, planets beyond Saturn are not considered. The astrology is a science where in addition to the knowledge of the astrologer, his intuition and the Divine help play a great role. Unlike other physical sciences, it is not possible here to announce a verdict based on a few planets & houses. 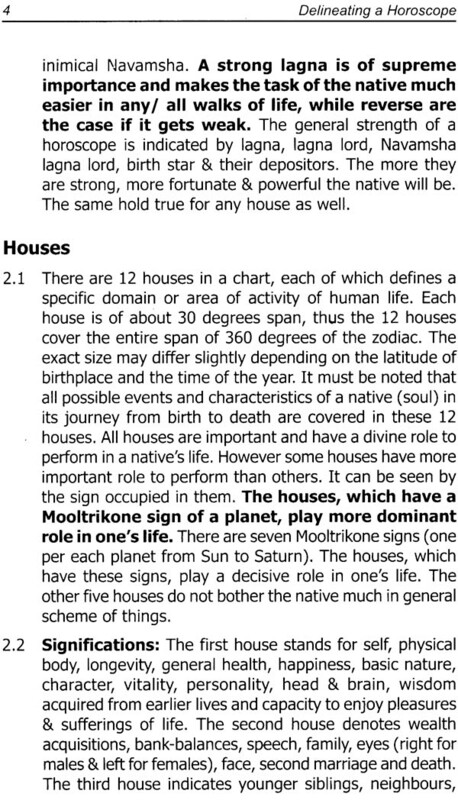 In every case a holistic view of the entire chart and the strength of the chart and various planets & houses and their association & aspect on one another must be taken into consideration before one can say anything about delineation of a particular aspect of a native’s life. The astrology is a science to interpret the logic of planetary movement and impact of their composite gravitational & electromagnetic pulls and configurations in outer space. The great scientist of modern age, Albert Einstein has said that, “Astrology is a science in itself and contains an illuminating body. Of knowledge. It taught me many things and I am greatly indebted to it. Geophysical evidence reveals the powers of the stars and the planets in relation to the terrestrial. In turn, astrology reinforces the power to some extent. This is why astrology is like a life giving elixir to mankind.” The nature of planetary combinations or Yogas, and the nature & strength of planets constituting the Yogas affect the individual in very mysterious manner. The different houses in the natal chart and the planetary positions therein, influence a native in almost all facets! Relationships of life. The unique feature of the Vedic astrology is the use of planetary dasha & transit, to get the timing for fructification of any result! Occurrence of any event. The timing of human events is so arranged that the native succeed in attaining a balance, a kind of equilibrium with the cosmic! Karmic life forces. The horoscope of a native is believed to be the balance carried forward in this life from his previous births. In other words, the previous existence is believed to be the cause, and the present life is the effect of it, which unfolds slowly but steadily, making sure that no one escapes the universal law of Karma. Every native enjoys a life of mixed happiness. The happiness & sorrows, opportunities & failures, rewards & deprivations, loss & gains in life, are meant to develop our latent faculties. The maturity of soul, the insight into life’s mysteries that one brings to tackle life’s tasks is reflected by the strength of the planets in the chart. 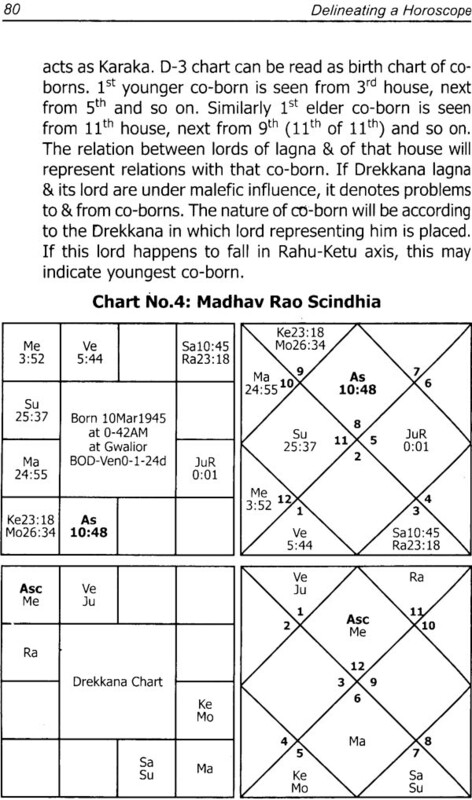 The opportunities and impediments in life are shown by distribution of benefices & malefic in different Bhava of the chart. The dictionary meaning of the word “delineation” is to describe or portray ideas, thoughts and events through drawing, pictures or sketches. To decipher the planetary positions in a chart on the basis of principles laid down in the great science of astrology for future predictions is called “Delineation of a horoscope.” The natal chart or horoscope is basically a map of zodiac giving relative positions of planets in different houses & signs and NakshtraS at the time & place of birth of a native or when a query is put. The lagna is the singe most important factor in delineating a horoscope. It most commonly refers to the ascendant which is the sign of the point of intersection of the ecliptic (path of stars & planets) and the eastern horizon at the time and place of birth of a native, epoch or query. It indicates the very being of the native, his élan vital & basic potential. It is the soul incarnated the creative urge & inner fire and signifies the Rajsik propensities. Unless the seed of a specific quality or event is contained in this initial spark, other planetary indications will not find suitable opportunities for manifestation. It not only reflects one’s personality & potential, but the possibility of achieving any desired results. 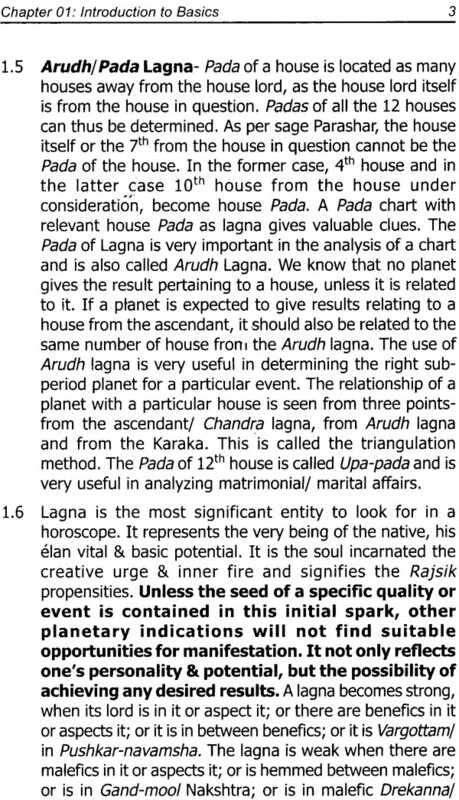 The lagna also means the first house of a horoscope and thereafter it determines the pattern! numbering of other houses moving anti-clock wise. The ancient sages have advised to delineate a chart from a number of lagnas, known as alternate lagria, in order to give us additional clues after completing the basic delineation of a chart. 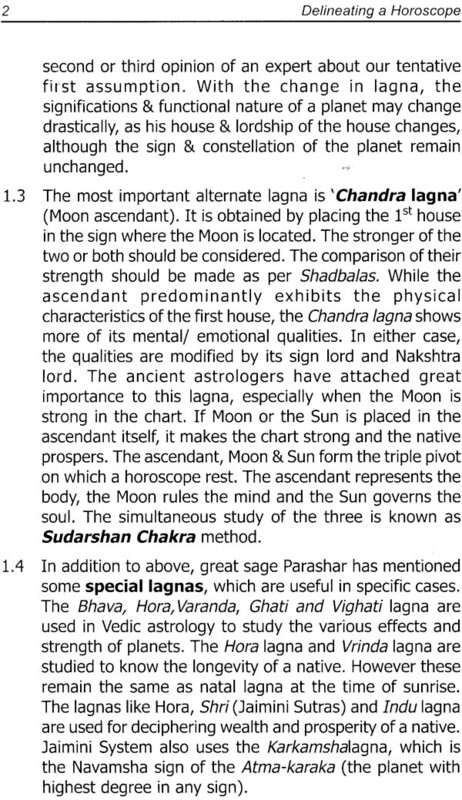 The more common alternate lagna are Chandra Lagna! Sun lagna/ Dasha lord lagna (by making the sign where the Moon! the Sun! the dasha lord is posited as lagna). With the change in lagna, the significations of any planet will change drastically, as his house & lordship changes, although the sign & constellation of the planet remain unchanged. In the first three chapters, I have tried to briefly summarize the importance, characteristics and strengths of basic ingredients required for proper delineation of any horoscope. 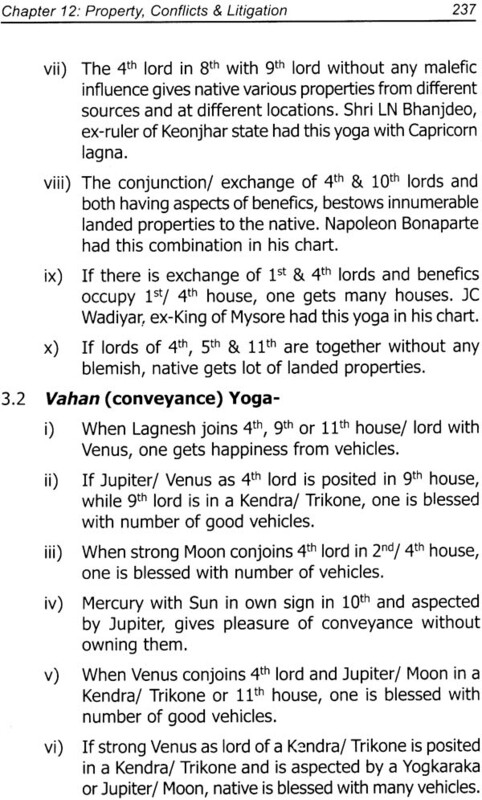 The first chapter deals with Lagna, houses, signs and Nakshtras. Their characteristics and when & how they become strong or weak. 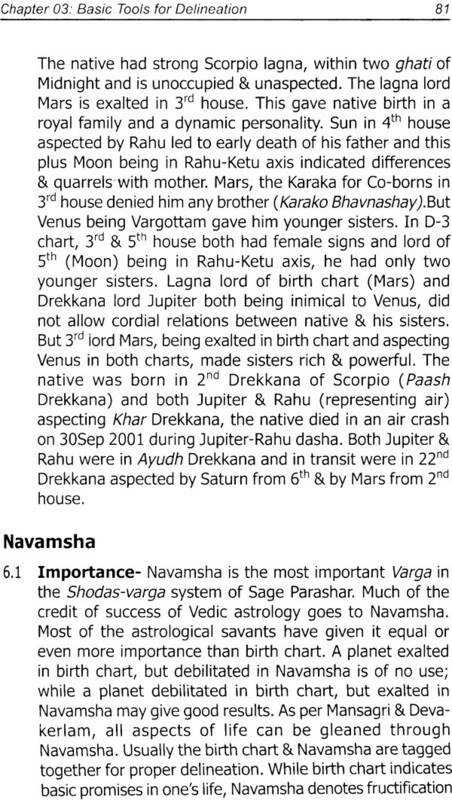 The second chapter deals with understanding the planets- their characteristics, significations (Karaka was) & strengths. It shows how a planet shows different significations in different houses. Karakas are of immense use in delineation of a chart and timing of events. No event occurs unless the karaka for it is involved. It is interesting to note how a planet becomes strong! weak and what does it signify when it is strong! weak. It also deals with role of retrograde planets and of Rahu & Ketu, the shadow planets. The results relating to a house can happen in the dasha of a planet, only when the planet is related to the concerned house. Hence, the relationships of planet with other planets and with houses are of great importance. The third chapter deals with the basic tools used in delineation of a chart i.e. dasha, transit, yoga and divisional charts. These four are the unique features of Vedic astrology and give it superiority over other systems. Any promise or yoga in the birth chart can fructify only when the relevant dasha and transit support it. 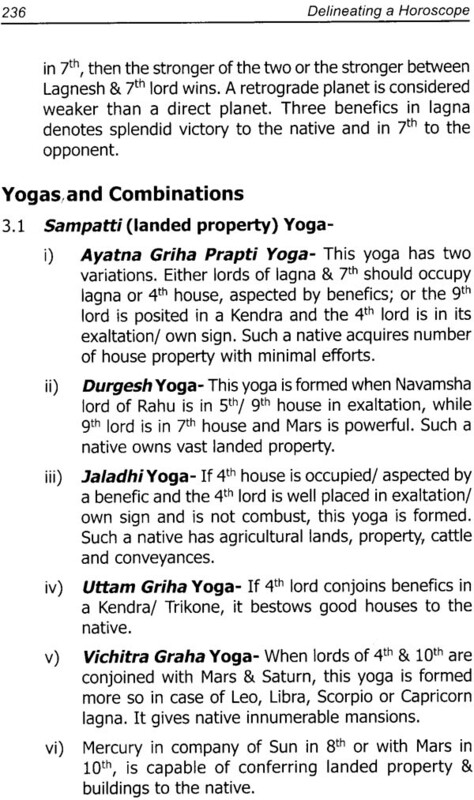 Then there are instances when the Yogas fail to fructify (Yoga-Bhang). The use of karakas, yogas and Vimshotri dasha system is used in exhaustive details to timing of various events, which has been further fine tuned by use of transit. Having explained and understood, the basic features of delineation, I have concentrated, based on my experience on subjects, queries or worries for which a native normally asks for astrological consultations. I have grouped those under nine heads, Viz. Longevity, Education, and Health! Disease, Marriage, Children, Foreign travel, Finance & profession, Fame, power & rise! Fall and Property, conflict & litigations. Each of these nine subjects have been discussed and explained in separate chapters with 38 illustrative charts. To ensure brevity, the subjects have been discussed in point form and number of illustrative charts has been reduced, though several other charts have been referred to in the basic text. In preparation of the present work, the author does not claim originality. In fact I have borrowed the ideas, principles and explanations given in many classics and by some of the great astrologers. It is not possible to name all of them. However, I am indebted to the encouragement and blessings of Justice SN Kapoor, Shri AB Shukla and my teachers. It is also difficult to identify which ideas arose from whom, but the final form has an identity of its own. 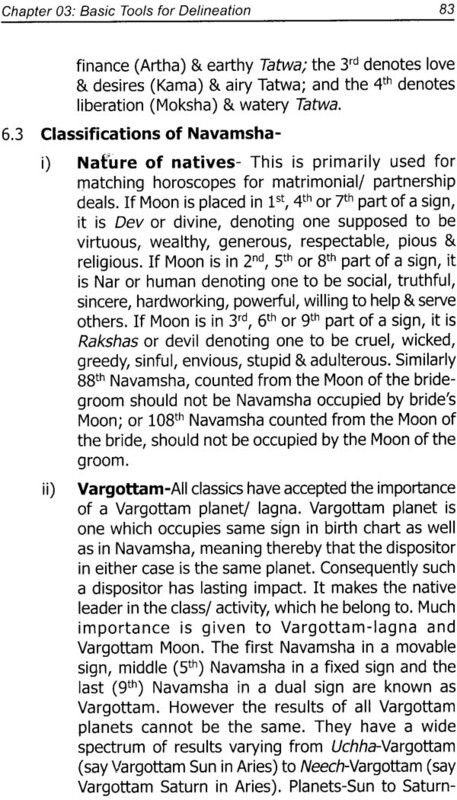 I have not the least intention to offend any astrologer or any native of the illustrated charts. However, inadvertently, if it has occurred, I offer my unconditional apology. I realize my personal limitations and alone am responsible for any shortcomings, which may come to light. Books on astrology cannot teach how to make a prediction in as much as a book on art of playing cricket! tennis, cannot teach you how to get going on the field. The secret, if any, lies in being out there. Follow and apply the correct technique! principles, persevere and with divine help and a certain sense of intuition, the success develops. We do hope this book may help readers in this endeavour. I am thankful to Mr. Narendra Sagar for his suggestions and extra efforts to get it published on Priority. I am also thankful to my friend Mr. Krishna Kumar for valuable suggestions! assistance at various stage of the work. I can never forget the contribution and inspiration of my ever enthusiastic granddaughters- Monil & Ishita Singhal, who have encouraged and helped me in computer! internet related works for my astrological pursuits. I do hope this effort would be of interest and use to all those who find the subject engrossing. I would fail in my duties, if I do not show my gratitude towards those who have appreciated my earlier works. its cancellation, of medium & long life, Modifications to life spans, Dasha & Transit, Four charts. for Cancer diseases of heart, Kidney, lungs, gout! of good health, four charts. child-parent relationship; one table, four charts. hints, one Table & four charts.